The republic of Zambia is a landlocked country in south central Africa whose population exceeds 10 million. Due to its high elevation, Zambia has a mild tropical climate. The weather is so pleasant that is has been nicknamed "The air-conditioned state". Given the vast amount of national parks and game reserves, Zambia is home to some of the most abundant animal populations in Africa including big game animals. The major draw to Zambia is the astonishing Victoria Falls, the largest waterfall in the world! Zambia is one of the more politically stable countries in Southern Africa with potential to be one of the richest countries on the continent. 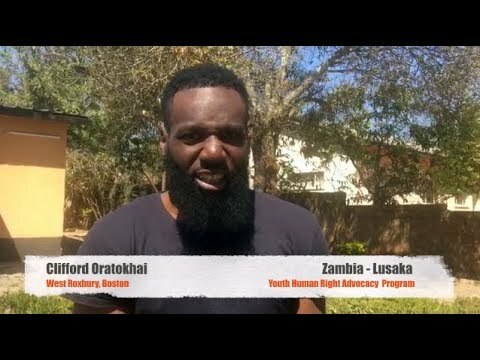 However, Zambia is one of the world's poorest and indebted nations with a steady influx of refugees, the effects of HIV/AIDS, poverty and corruption, as well as food shortages that leaves the country in crisis. In Zambia there are thousands of children who are homeless orphans, many affected by HIV/AIDS. Thousands of children in Zambia live in a land where extreme poverty is the norm, many children are orphaned by AIDS, health care is woefully inadequate and public education is substandard and not free. One thing is clear. Children such as these need help. Volunteer in Zambia and support orphans, vulnerable children, youth and young adults, as well as support a health care project. 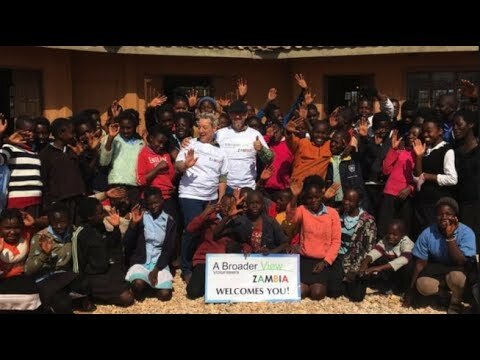 Volunteer in Zambia with A Broader View Volunteers a top rated non-profit charity organization, which works tirelessly to support our wonderful volunteers and serve the local communities where our volunteer programs are located. Placements in Zambia are based in the cities of Lusaka / Livingstone. Program placements are tailored to the volunteers different interests and skill sets, but still allow volunteers time to explore the African local culture and activities during their free time. 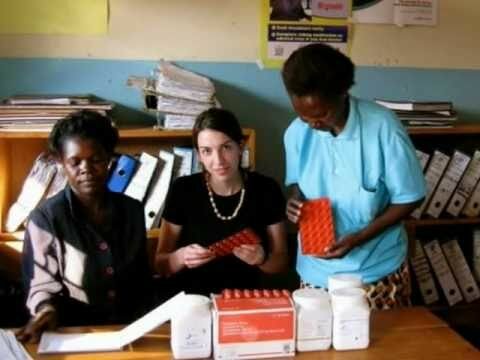 The type of programs in Zambia vary widely, offering everything from education to health care. Volunteers can choose between 7 program opportunities in the orphanage. International volunteer help is not only appreciated by the local community, it is severely needed by the millions of Zambians living below the poverty line. With thousands of children living and working on the streets, as is so often the case in developing countries like Zambia, our volunteer programs are designed to support the needs of local teens and children in desperate need of assistance. Many of our volunteer abroad programs cater to underprivileged women and children’s care, education and health requirements. Our extensive range of social programs near Lusaka / Livingstone, Zambia programs include: Orphanage Care, teaching, Medical, Community development, Youth Advocacy and many more. Volunteering in Zambia is an incredibly rewarding experience. We welcome volunteers of all ages and from all backgrounds to join us. Whether you’re seeking volunteer abroad programs for college students or voluntary work for over 60s, as a trusted non-profit organization which prioritizes the safety of our volunteers, we are the go-to for volunteers across the globe. We also offer customized programs with flexible arrival dates to best suit the needs of the remarkable volunteers we depend on to help us make the world a better place. If you’d like to volunteer, Zambia is just one of the countries we’ve taken under our wing, supplying a steady flow of volunteers and providing year-round financial support to local projects in near Zambia. Wherever you decide to volunteer, A Broader View give you the opportunity to participate in meaningful community service work, learn a foreign language, make lifelong friends and discover that one person really can make a difference. Your search for the best volunteer abroad programs ends here – volunteer in Zambia with us and gain A Broader View of the world. Welcome to Zambia 🇿🇲. Our Names are Josphat and Ivor we are your ABV coordinators while you are staying in Lusaka or Livingstone. Our country has one big city, Livingstone. We will be ready for support 24/7 in case you need to contact us urgently. We will introduce you to your volunteer location and staff. You are most welcome to seek our assistance and don’t hesitate to ask us questions while in country. This was my second trip with ABV. Africa was an extremely different place (than Peru). However, it was lovely to see the contrast. I had a hard time adapting to the laid back attitude by the locals, but by the end of my time there it didn’t even phase me. I had a great time at the ABV Program. The whole experience was eye-opening and it was by far the best holiday I have ever had. The children taught me a lot about life and I hope I taught them a lot too. Going to Zambia was certainly life changing and I look forward to the day I get to go back. I took this trip in the spirit of giving to others; however, the locals gave me SO much more in return.